If you are used to being a lone wolf in your favorite shooters, hunting for headshots solo, DICE certainly welcomes you to try out Battlefield 3. But the Swedish developer's latest creation is meant to force friends to actively collaborate to effectively utilize the game's complex mechanics. What is your incentive to party-up? The developer is overhauling its four playable classes to make squads in BF3, powerful units, making team play more fun and rewarding than ever before. There are four playable classes in DICE's graphically-impressive title – Assault, Support, Recon, and Engineer – marking a departure from Battlefield 3's predecessor, fusing the functions of the Assault and Medic classes. The Assault class primarily acts as a frontline warrior, running-and-gunning through chaotic warzones. Additionally, aggressive players will now have the ability to revive fallen teammates with medkits and defibrillators. 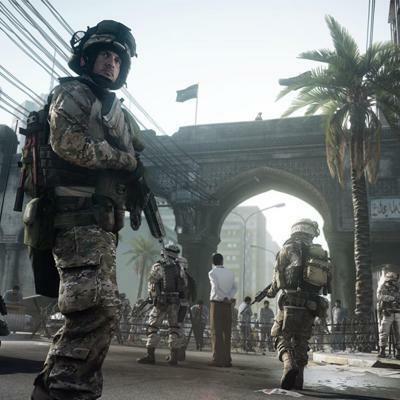 Battlefield 3 is all about customizability, and its multiplayer classes are no different. If you are more interested in mowing down opponents with a light machine gun, you can level up your player's gun-heavy abilities. If you would rather run around reviving your friends, you can save up your hard-earned XP and spend it on medic skills. Engineers are returning to BF3, still functioning as on-the-go mechanics. The class is very adept at taking out vehicles as well, including RPGs that can take down armored targets that can't be destroyed by bullets alone, and the ability to build facades that enemy combatants may be using to take cover. Similar to its function in Battlefield: Bad Company 2, the Recon class will be able to spot enemies for the team and take out enemies from a safe distance. To mix things up a bit, however, DICE will be introducing several Recon-exclusive gadgets, but they weren't willing to share any more details on that at the moment. The Support class is making a return to the Battlefield series in the franchise's latest installment. "Support has always been about heavy infantry firepower from his LMG," says Alan Kertz, Senior Multiplayer Designer at DICE. "It's a role that we've wanted to feel different than Assault's running and gunning." To accomplish this, the developer's team of innovative gameplay experts devised a way to differentiate the two classes. In Battlefield 3, players will be able to lay down bipods on surfaces to make their shots more accurate. This ability makes the Support class extremely effective at laying down suppressing fire. Suppressing fire? When did DICE make suppressing fire a priority? Well, to make Battlefield 3 an extremely realistic shooter possible, the developer decided to introduce players to a new mechanic. When you lay down suppressive fire at close vicinity to enemy infantry, the enemy's screen will blur and his accuracy will be noticeably impacted. This makes laying down suppressive fire to hold positions significantly more effective, a realistic military maneuver. What do you, fellow gamers, think of DICE's changes to its award-winning multiplayer? Is the developer giving you an incentive to work in teams? Which class are you looking forward to the most? Sound off in the comments below.